One of my favorite aspects of my job is when I have the chance to teach the children. Unfortunately, as the Assistant Director, I don’t get to do that as often as I would like. I spend an inordinate amount of time in my office, emailing parents, inputting data, and planning events for the Religious Education program. I know that these tasks are necessary for the proper running of our programs, but it saddens me how little time I get to spend with my students. Of course, that just makes teaching and prayer moments with them more valuable, and I willingly do all the paperwork for the sake of the children. Knowing that I am offering up my day-to-day tasks for the sake of my students makes the work just a little more bearable. Of course it does not stop me from searching out opportunities for ministry with the children. Finding opportunities to share the faith with the children is both a challenge and a source of profound joy. I know that all the work that I do is towards the salvation of their souls (or at least I hope it is), but it brings me such joy when I can see the fruits of my work, through the grace of God, in the faces of my students. Recently, opportunities for ministry have been few and far between. Now that most of our Religious Ed programs are over for the year, a lot of my time is spent in my office processing next year’s registrations, logging this past year’s attendance records, and preparing for our upcoming summer program. The work is tedious, and I sincerely miss the children. For this reason, I was overjoyed when I learned that I would be tutoring a small group of first and second graders who had missed their first year (or two) of CCD. My time with them is short- we meet for an hour a week, and when we finish for the summer, we will only have met four times. Our time together is very directed, but that is only because we are trying to fit a lot of information into a very short amount of time. It is not the most desirable of circumstances, but given the choice between a handful of “catch-up lessons” and losing these new families completely, I have to choose what often seems like the lesser of two evils. Religious Education in our area is probably similar to any program that you will find in the US. 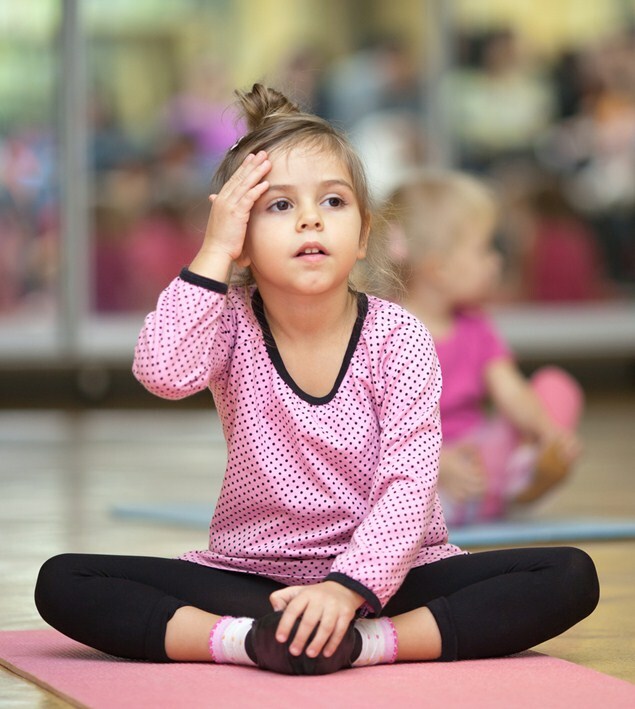 Parents bring their children in because “it’s just what we do.” When a child enters first grade, he or she is expected to take part in several activities in their spare time. Some play football; for others, it’s basketball. Some learn to play guitar, while others sing and dance. Children are shuffled from homework club to soccer practice to music lessons, and then are expected to finish their homework before they go to bed. They are expected to excel at all these things, and children are tossed into a competition led by parents against their will. These activities are the most important parts of their lives. When they lose a game, everyone’s heads drop in despair. When they don’t get cast in the latest Broadway play, you’d think that someone had died in their family by the look on their faces. Life is a competition, and there is no time for fun, never mind faith. Not all of my students live such strictly guided lives, but many of them do. And even if they are only playing for sheer pleasure, CCD is just another task on the list of things to do. In the minds of so many parents, CCD is something that needs to be checked off before they move on to bigger and better things. They do it because grandparents expect it. They do it because they did it when they were young. They do it because everyone does it, and it’s just something “we need to do.” No one wants to do CCD. My mission throughout this past school year has been to introduce my students to Christ. I want them to form a relationship with God, which involves both knowing and loving Him. I also want my students to want to come to CCD. Maybe it’s just pride on my part, but it kills me that so many of my children dreaded coming to class at the beginning of the year. I am happy to say that I’ve had many children tell me that they “actually like CCD now,” and many parents inform me that they see a change in their children at home. These are the fruits of my labors, and this is all by the grace of God. He is so good to me, and He has made my efforts so fruitful. This latest adventure with my students was no different. There were several reasons that these children were brought to me- some are recent immigrants, others are new to the parish, and some are admittedly behind on the whole “religion thing.” But for one reason or another, they came to me. And I gladly accepted them. These young students are incredibly eager to learn, which is good, because their knowledge of the faith is incredibly lacking. Sometimes I am shocked by just how much backtracking I must do in my teaching. I’ve learned that you can take absolutely nothing for granted with these children. You cannot assume that they know anything about the faith. Sometimes you will be pleasantly surprised by the knowledge that they do have, but more often than not, a slight skepticism about the extent of their knowledge of the faith prevents you from becoming overly disappointed. My students didn’t believe me at first. I told them to close their eyes and imagine the activity or person that makes them happiest. I told them to think about how that happiness makes them feel, and then told that heaven would be a million, million times better than anything you could have imagined, and then some. Naturally, while this answer excited them, it did not completely satisfy them. I answered them as best as I could, which was incredibly inadequate, and admitted that to a certain extent, heaven was a mystery. We’ll know what it’s like when we get there. And still the questions continued. Bombarded by these questions, I laughed and told them that we should pray for everyone who has died so that we’ll see them in heaven. I reassured them that one day they would see their loved ones in heaven after they had died. 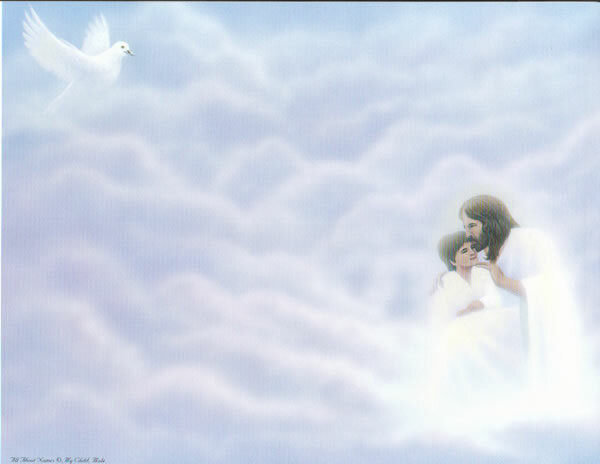 Jesus would make sure that we would be reacquainted with all those that we love, I told them. 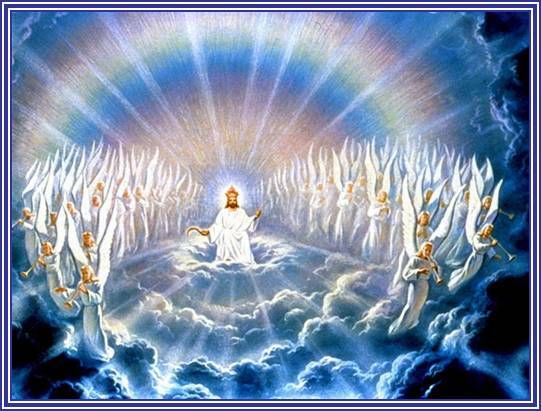 I was shocked that they had not realized that God would be in heaven with them. I was also shocked that in my explanation of heaven, this fact had not come up sooner. I had just assumed that they already knew. I had been wrong. This new piece of knowledge brought more joy to these children than I ever thought imaginable. Though we had already spoken about the Eucharist, they did not quite grasp what it might be like to see God. Of course, the Eucharist is just a foreshadowing of the glory of heaven, but what would heaven be like without Jesus? My students were thrilled at the prospect that Jesus would be with them in heaven, and their questions once again erupted. As I answered them to the best of my ability, I recalled what Christ had said about children while He was still on earth. I pulled over the Bible and quickly located the passage, passing it to a child to read out loud. 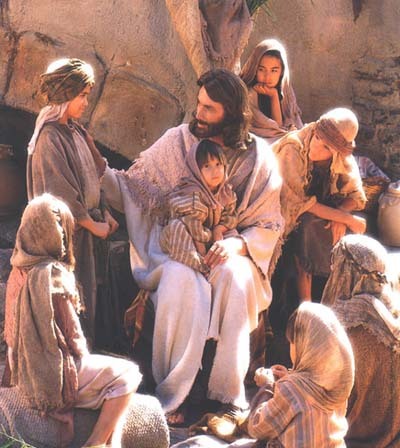 “At that time the disciples approached Jesus and said, “Who is the greatest in the kingdom of heaven?” He called a child over, placed it in their midst, and said, “Amen, I say to you, unless you turn and become like children, you will not enter the kingdom of heaven. Whoever humbles himself like this child is the greatest in the kingdom of heaven. And whoever receives one child such as this in my name receives me” (Matthew 18:1-5). 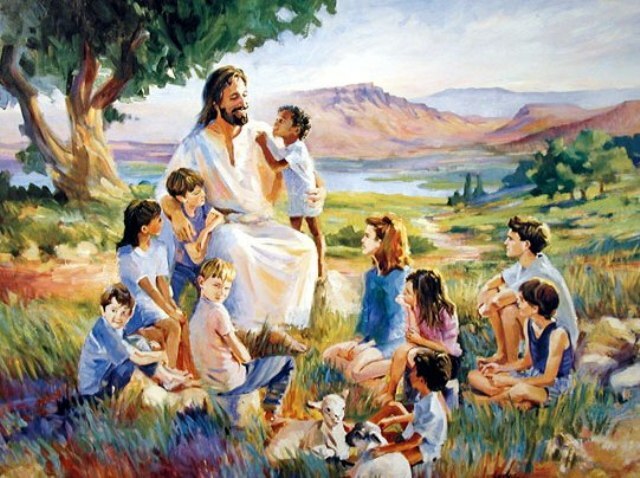 The Kingdom of God belongs to children, and as I listened to my students talk about all the things that they wanted to do with Jesus in heaven, I really began to understand that passage. There was something so lighthearted and joyful about their talk. Sure, I don’t know if there will be basketball courts in heaven, or if we’ll be able to play video games with Jesus (two suggestions of my students), but it was obvious that no matter what my students were doing with Jesus, only one thing was really important to them: that they were with Him. And that’s true love. It doesn’t matter what you do, just that you’re together, and as my students dreamed of heaven, it was clear that only one thing mattered to them: eternal life with Jesus Christ. We have a lot to learn from children, even the most un-churched of them. Even though most of these children do not go to Mass on a regular basis (or at all), there are some things that they understand better than the most educated of us. What is heaven? It’s an eternity with the one we love. And that’s the most important thing that we need to know. Thank you! And yes, I do remember you! I hope everything is going well in your life! God bless!